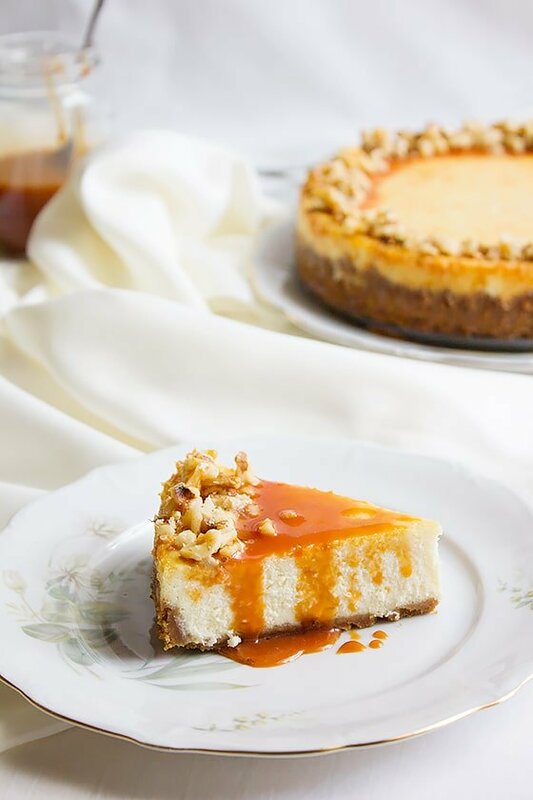 Baking this Vanilla Cheesecake with Butterscotch Sauce is no different from baking a cake. When you bake a cheesecake it might feel challenging. Will my cheesecake sink? Is it going to be too dense? Will it crack? Will my crust be a disaster? All these questions and more will pop up in your head before making the cheesecake. Let me tell you, baking cheesecake is far much easier than baking a cake. 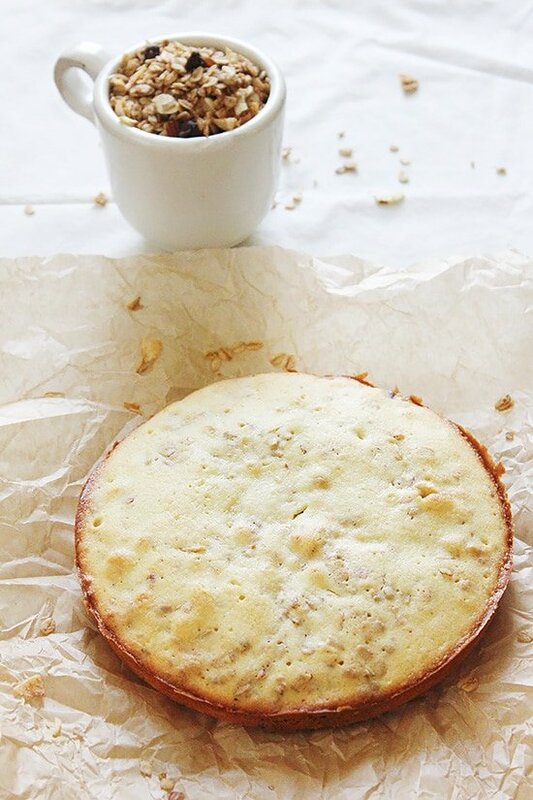 Tips on making Vanilla Cheesecake. 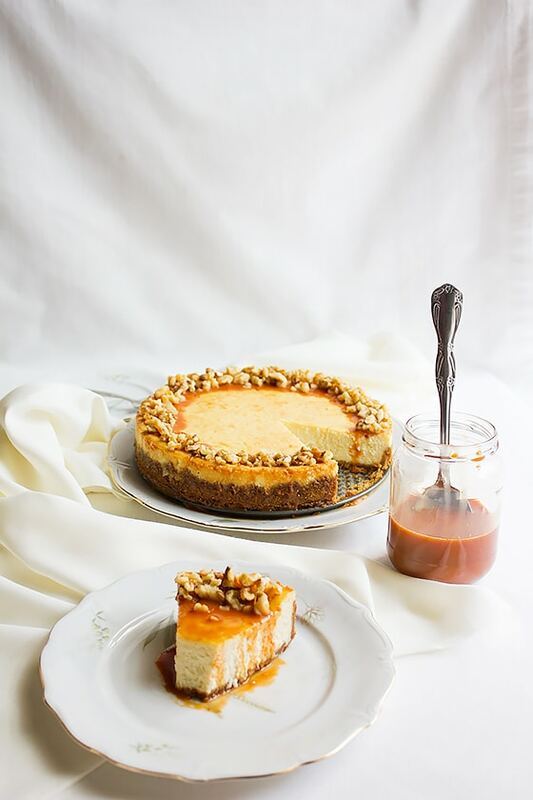 In this post, I will give you some tips to make your cheesecake rise nicely, have no cracks, and the crust will not only taste good but will hold better. I love dessert but that doesn’t mean to go crazy with sugar! 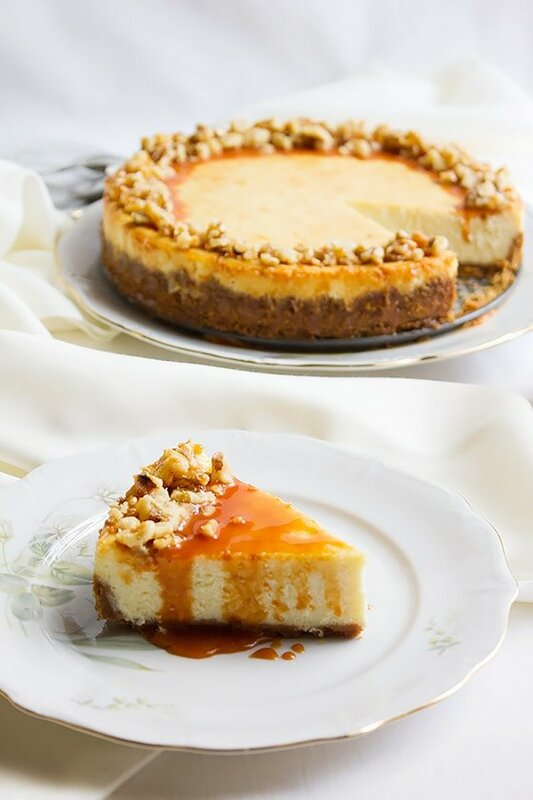 In this Vanilla Cheesecake with Butterscotch Sauce recipe I kept the sweetness balanced in both the crust and the filling, the texture is creamy light and little rich. To prevent the crust from collapsing, I pre-baked the crust for few minutes and kept it aside to cool before adding in the filling, this will help the crust to hold the filling better and prevent it from breaking while cutting into the cheesecake. I didn’t use sour cream in this recipe as most cheesecake recipes call for it, instead, I’ve added milk to make it on the lighter side, and I promise you won’t miss the sour cream. The key to crack free and perfectly risen cheesecake is to bring all ingredients to room temperature, believe me, it makes a lot of difference and I am saying this from experience if you beat the cream cheese while cold, it will have lumps. The other contributing factor to cracks is over beating the eggs. Always beat the eggs lightly without adding air into it. Do not open the oven door while baking the cheesecake. The first 70 minutes are crucial, try to overcome the urge. Use the oven light to see the progress of the baking but never open the door. After the 70 minutes, open the oven door (just a little.) to allow some heat to depart the oven, this shouldn’t take more than 5 seconds. Shut the oven door and let the cheesecake continue baking for another 50 minutes while the oven is off. The gradual decrease in temperature will help in thoroughly cook the cheesecake and will prevent it from having crack or sink. 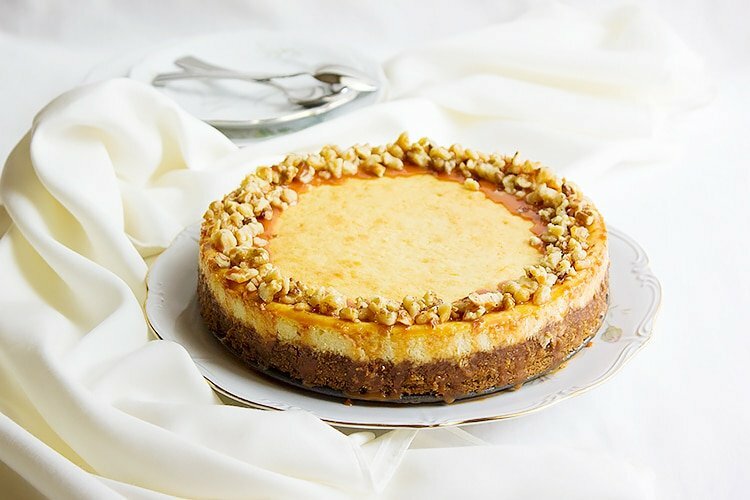 As I said, there are different types of cheesecakes out there, some recipes use fewer eggs, some use a mixture of eggs and egg yolks, it really depends on how you like your cheesecake, and you can always change the ingredients ratio according to your liking. Preheat oven to 350F/180C. Wrap the outside of the baking pan with aluminum foil, this will prevent water from reaching the cheesecake when is cooked in a water bath. Mix all the ingredients in a blender. Add the crumb mixture to 8” spring-form pan. Press the crumb into the bottom of the pan and the sides. You can use your hand to do this or the bottom of a glass. Bake the crust for 8 minutes, then keep aside to cool completely. Heat the evaporated milk (do not let it boil.) 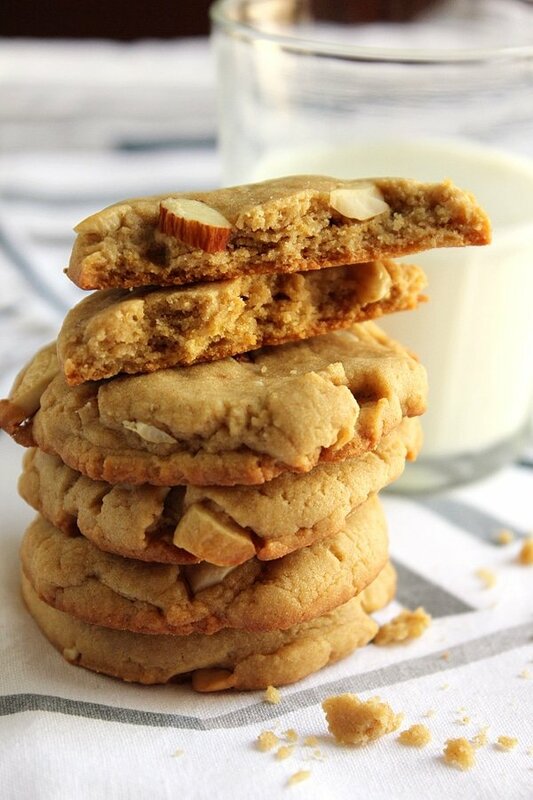 turn off heat and then add the butterscotch chips. Cover for five minutes, then stir it until you get a smooth texture. Allow to cool before using. The sauce will thicken when cool. In a bowl, add the cream cheese and beat until fluffy, add the sugar, milk, vanilla, flour, and beat until the sugar dissolves. Pour the batter into the baking pan. Place the baking pan in a larger pan. Place in the oven and now pour hot water into the large pan. Let the water reach 1/2 of the baking pan. 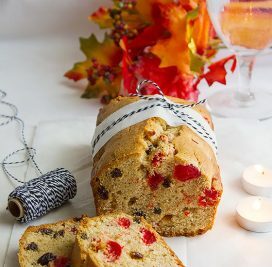 Bake for 1 hour and ten minutes. Do not open the oven door during that time. Turn off the oven. Open the oven door (just a little.) for five seconds then shut it and let the cheesecake continue cooking through the remaining heat in the oven for 50 minutes. Remove the aluminum foil and place the cheesecake on a cooling rack to cool. Run a knife around the edges of the pan and then unbuckle the pan. 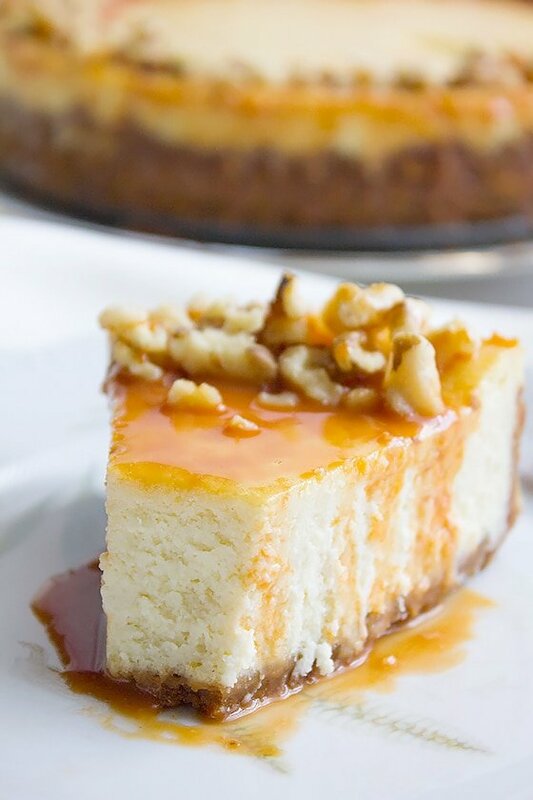 Drizzle cheesecake with butterscotch sauce. Muna, that’s one perfectly baked cheesecake. The nuts (walnuts?) atop makes a lovely garnish too. Thanks for the tips, Muna! I love how you added milk instead of sour cream to give it a lighter texture and flavour. And the nuts on top make me crazy. It’s really delish! 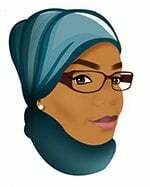 Good tips on cheesecake baking, Muna! 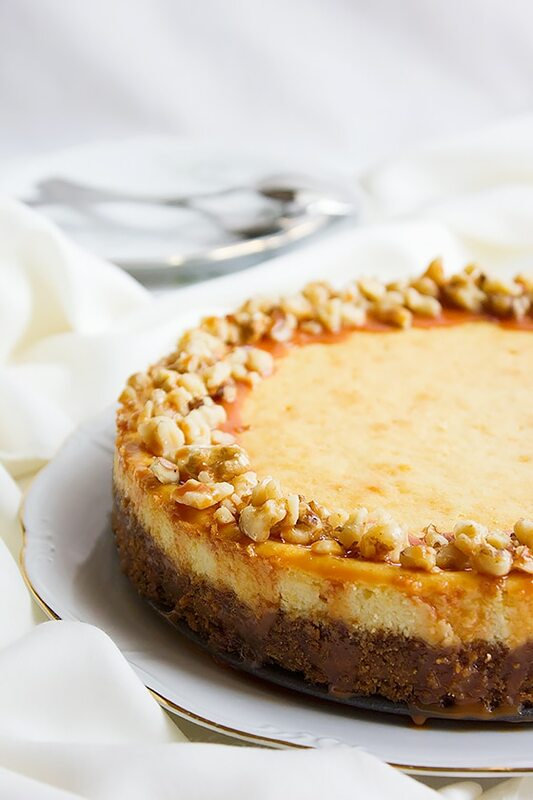 I love cheesecake, and in fact it’s probably one of my all-time favorite desserts. 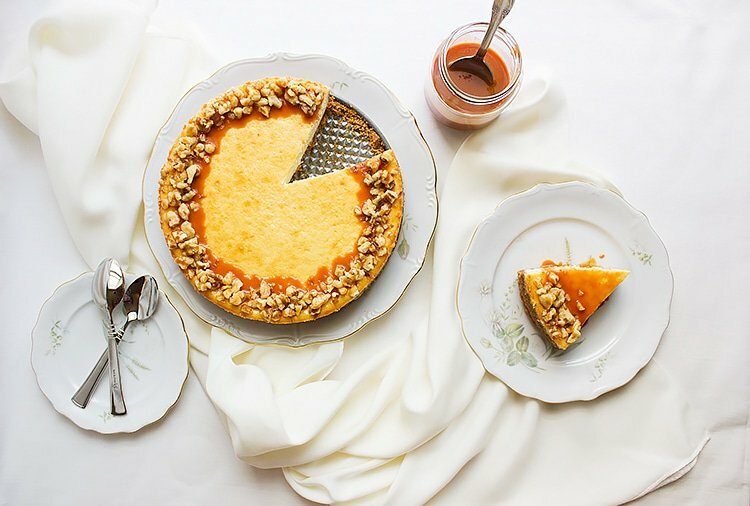 This butterscotch sauce on this one sounds amazing, and I wish I had a nice big slice in front of me right now! Yum!